Our fully featured Domain Registrar Module with support for all gTLD's and ccTLD's offered by any LogicBoxes Registrar. Fully compliant with LogicBoxes Registrar requirements for Domain Register and Transfer, including 100% IDN Support, Domain Suggestion, Afternic Premium Domain and new gTLD Premium Domain selling, seamlessly integrated into WHMCS. 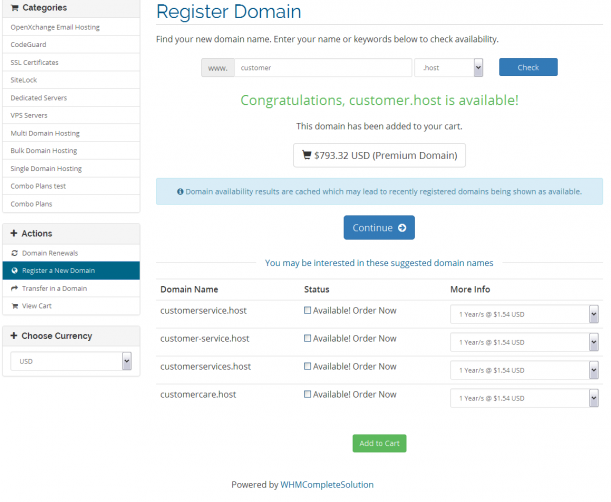 You can now register and transfer without failure any domain which needs additional domain informations. These fields are exposed in the shopping cart for domain register and domain transfer who requires these informations. A correctly formatted additionaldomainfields.php file with multi language support is included with the Module. 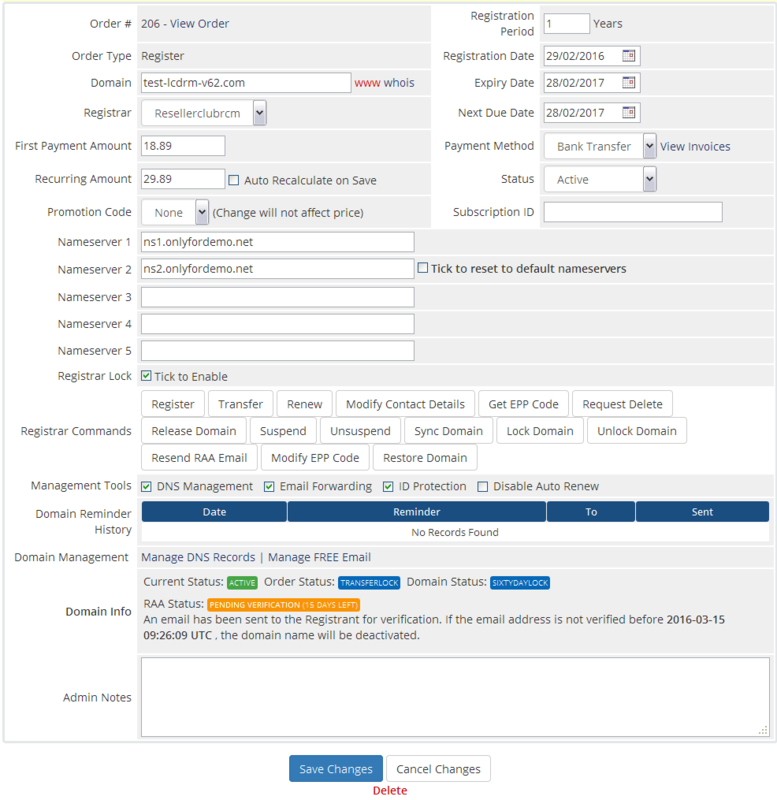 Fully compatible with all standard domain management interfaces from WHMCS such as dns, email forwarding, register nameserver, domain contact and fully compatible with all Resellerclub Mods Management Interfaces RAMDI, RAMEI, REMDI and the FREE ResellerClub Tools Box. The L.C.D.Registrar Module can be used for any LogicBoxes Registrar and comes prepared with the 4 standard LogicBoxes Registrars ResellerClub, NetEarthOne, Resell.biz (Stargate) and ResellerCamp. Another top-notch module, deep integration for all aspects of domain management - easy on the eyes with a nice layout and again 'built-in'. The key difference here is modules by RCM make it feel as the module has always been part of WHMCS - yet enhanced with very cool functionality, while stable and predictable updates. Especially with V4 of the management console, making updates and management very slick! Thank you very much for your feedback Chad, much appreciated. I'm glad to hear that you are happy with the services and modules. We will do our best to get the rest of the v3 modules ported to the new v4 series asap! This product is absolutely amazing and the support is top-notch... RC mods goes way above and beyond to help you get everything setup and in perfect working order! Definitely recommend! Thank you very much for your kind words and the five stars, much appreciated Josh! Bugfix: new gTLD and Afternic Premium Domain prices not calculated in 1000's for currencies such as COP, IDR, etc. new gTLD Premium Price is not displayed. These features will start working again as soon as WHMCS has fixed the mentioned Core Bugs.